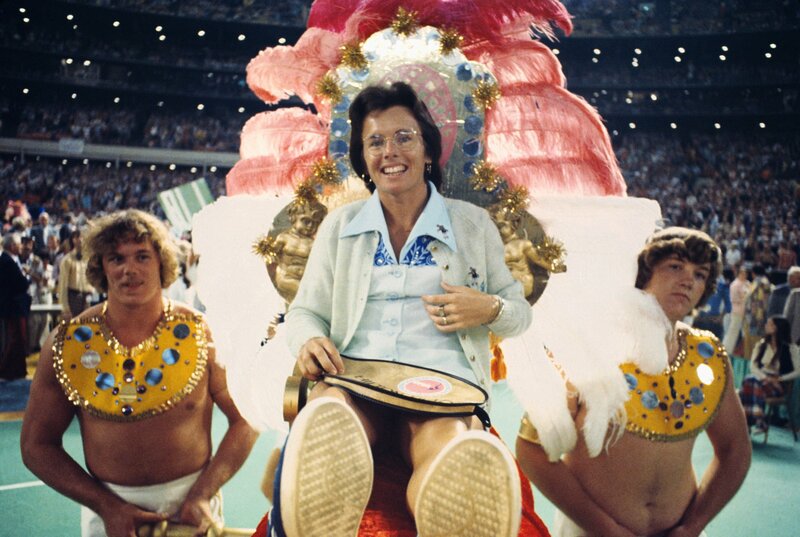 The film concerns the real event of September, 1973, which took place in the Houston Astrodome between women’s #1 Billie Jean King and former men’s #1 Bobby Riggs. 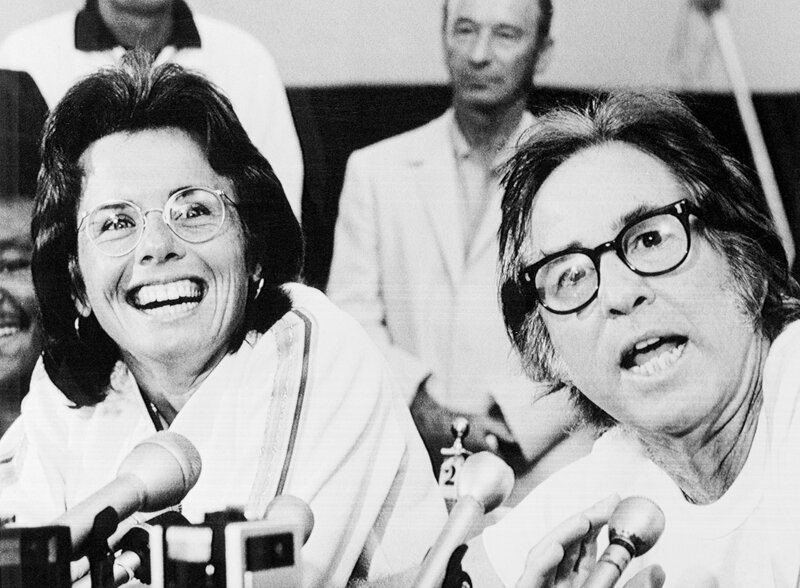 That month, Billie Jean King was 29 years old, and Riggs was 55. She had trained like hell for the event, Riggs had dabbled with 70s era health and diet supplements and, well, worked on his promotional tactics. Regardless of how they both prepped, the event was a true exercise in American traditions – public relations, media and standing up for one’s cause. The film does a great job of toggling between all of these traditions, from Rigg’s Don-King-styled promotion of the event to King’s real-life confusion concerning an affair, not to mention her development of the WTA. Now, the filmmakers do a fine job of setting the match up. The movie moves along with expedition as the story develops both King and Riggs. Each of them had dramatic events going on in their own lives when the idea came to Riggs to sell this epic battle. I think the film did adequate job of demonstrating that for Riggs, he might have been over-playing some of his own chauvinism – while illustrating that there was certainly a contingent of men in this country at the time who desperately wanted him to win. These guys had no qualms about their chauvinism, and in some cases, were surely shocked at how big this showdown became in the cultural discussion. However, I’d like to point out a couple of things that really enriched Battle, things that aren’t necessarily alluded to in the trailer and promotional materials. First off, Billie Jean was instrumental in creating the WTA. I never knew that before watching the movie. As a former tennis player – and one who still follows the game – I was interested in the first half of the film, which showcases how King and her band of women’s tennis players took the sport out of country clubs and made it much more accessible to all Americans. That’s a significant story in and of itself, which meshes well with the comedic shenanigans of Riggs’ grand idea for an ultimate “him vs. her” contest. But, the other element I really liked from Sexes was the portrayal of how King had an affair with a Los Angeles hairdresser named Marilyn Barnett (Andrea Riseborough) – and her husband Larry’s subsequent reaction to the infidelity. The scene, in which Larry shows up to King’s LA hotel early to meet up with his wife, is a filmmaking-101 scene. We take it for granted, but the cinematography, sets, costumes, hair – all of the technical elements are just as sharp in this scene as the rest of the film. What I loved specifically in this scene was the awkward manner that Larry discovers that his wife has cheated on him – and how the filmmakers took the time to let him have his moment. So many films are in a rush today. There is a “save the cat” feeling that, “it’s time to do THIS” in a lot of movies – particularly blockbusters. But, Sexes allowed Larry his moment. Played by a new, familiar actor named Austin Stowell, Larry discovers Billy Jean’s action in her hotel room’s bathroom. He tells her he’s going to stay in another room – and then there is a cut to the hallway, where Larry leans against the wall in shadow. He’s upset, we can tell from his body language. And it’s with great effort that he picks up his bags and hops on the elevator. Seems like an easy scene to cut out, right? I mean, who would miss it? Well… without it, all of his subsequent actions would seem a little odd. With this scene appropriately included in Battle, we are immensely impressed with how Larry continues to support the talented Bill Jean – despite how much her cheating on him hurt. NOTE: I put the directors of Battle in that order at the top of this post as they are not only alphabetical, but also in that order on IMDB. Just in case anyone was wondering! No chauvinism from this author!! I listened to “The Director’s Cut” podcast, which is a phenomenal resource for guys like me who are just junkies for all things related to movies they see. On this podcast, DGA (Director’s Guild of America) members typically interview the director(s) of the film in question, and sometimes other cast and crew. 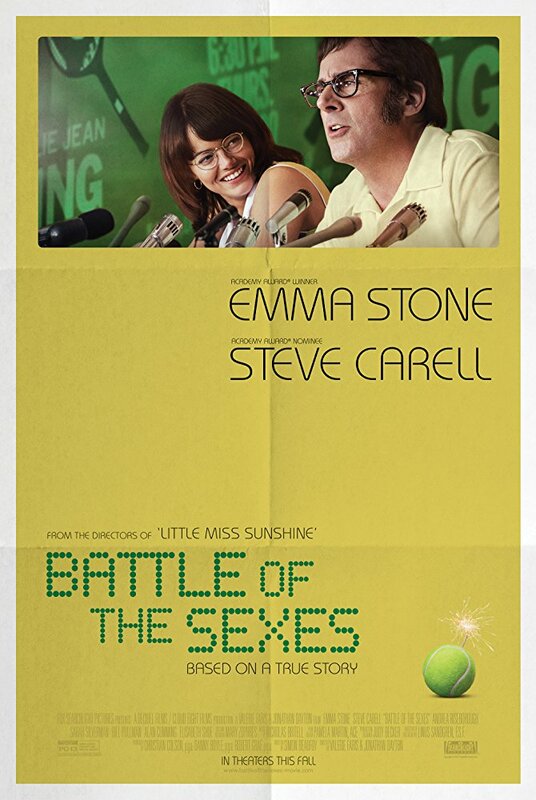 What fascinated me about the moderated discussion with directors Jonathan Dayton & Valerie Faris was their discomfort about stars Steve Carell and Emma Stone’s actual tennis playing ability. What I was able to gather from the podcast is this – not all of the play was ACTUALLY Stone and Carell. In fact, some pro tennis players who doubled as King and Riggs had to re-learn how to play 1970s style tennis, with primitive rackets and slower play – probably a lot more serve and volley than they usually play (just guessing). My question is – why the discomfort? Why the hush-hush? Whether or not these two stars were actually playing the game had absolutely no effect on my viewing or perception of the film. I think this is an unfortunate fallout effect of the audience’s insistence that they know everything they want to know about the film. To those asking that question – was the play genuine, featuring the stars? – my question is, why is that important? It would be a shame if these questions about authenticity – whether it’s tennis play or historical – dominated the discussion related to Sexes. Isn’t it enough of a celebration – telling this story, focusing on a beloved game for millions, an event that captured the focus of an entire nation? How does that portrayal – that portion of their portrayal – really matter in the end? And… how incredible is it, speaking from a special effects standpoint, that it WASN’T those two stars?? Because, it sure looked like them.